The view from Point Lookout. 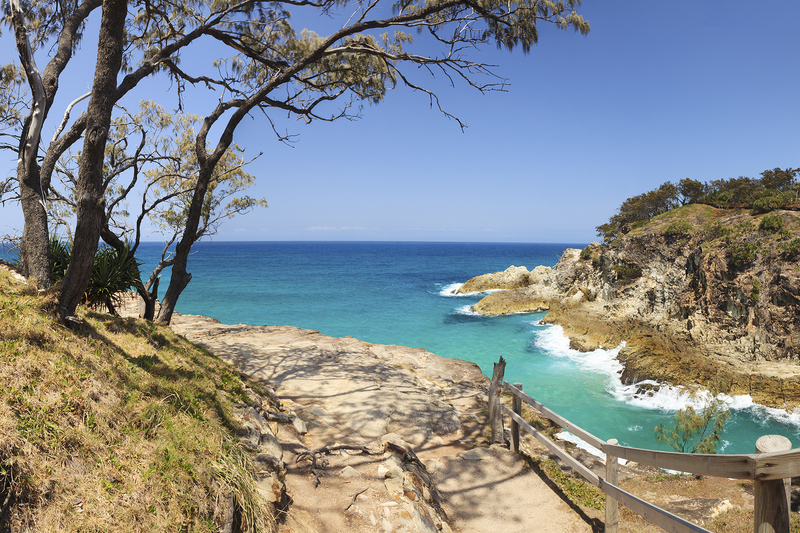 Point Lookout is a headland and small coastal village located on the eastern coast of North Stradbroke Island, Redland City, Queensland, Australia. To the north lies Cape Moreton and to the south the next major headland is Point Danger on the New South Wales/Queensland border. The other towns on the island are Dunwich and Amity Point. The point was first sighted by James Cook in 1770. Point Lookout is an excellent fishing spot, as is Jumpinpin Channel on the south of the island. At the 2006 census, Point Lookout had a population of 669. The area is mostly residential houses and tourist apartments built close to the beach and atop nearby ridges to take advantage of sweeping Pacific Ocean views. The single greatest loss of life resulting from a submarine attack in Australian waters occurred off Point Lookout on 14 May 1943 when the hospital ship AHS Centaur was sunk by a Japanese submarine. Point Lookout, North Stradebroke Island.